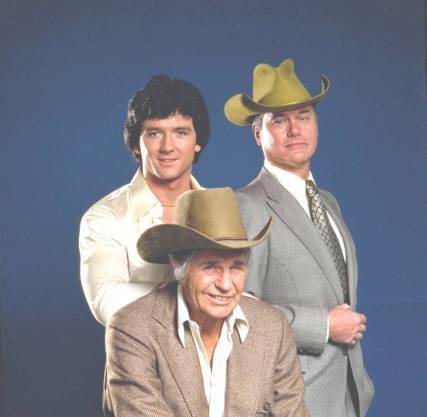 Mr. John Ross "Jock" Ewing, Sr.
Jim Davis played Jock Ewing from 1978 till his death on April 26, 1981. He was the only man who could play Jock so the role was not recast and the characters death took place months later on the show. 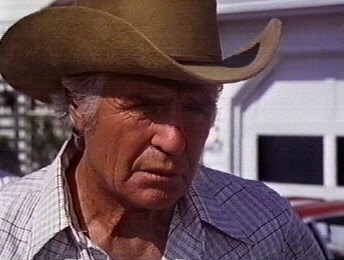 Jock played the father of JR, Gary and Bobby Ewing. He was husband to Ellie Southworth Ewing. He also father, Ray Krebbs. Father and son did not learn of this till Ray's character was grown. 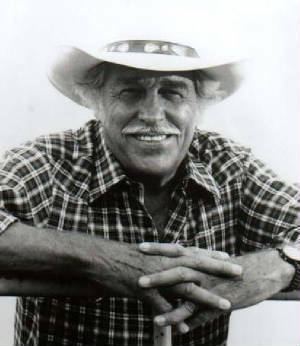 Jock started the family business, Ewing Oil and helped to make Southfork a successful working ranch. The character was written out after Jim passed, but lived on in the show through pictures and memories the cast lived through the characters. Jim Davis acted in movies from 1942-1980 and the list included nearly 100 films. He was one of the greatest actors of this 20th century. His memory will live on in his huge body of work. May He Rest In Peace. 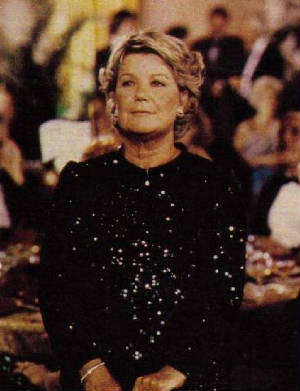 Barbara Bel Geddes played Miss Ellie from 1978-1984 and again from 1986-1990. (She was recast from 1984-1986 by Donna Reed.) She was the woman who held the family together. Miss Ellie was the owner of Southfork it came from her family. She was mother to JR, Gary and Bobby and grandmother to Lucy, John Ross and Christopher. She was married to John Ross Sr. called Jock from about 1939 to 1981 when Jock passed away. She married again in 1984 to Clayton Farlow. 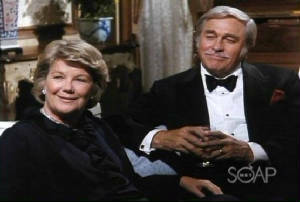 She remained on Southfork from her birth around 1915 to 1990 when see went to travel Europe with her husband, Clayton. Miss Ellie kept the boys out of trouble, the daughter-in-laws comfortable with their crazy marriages and loved and cared for her husband and grandchildren. 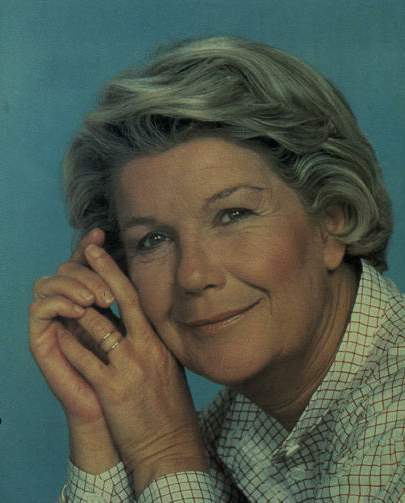 As for Miss Ellie's counterpart Barbara Bel Geddes she was a legend in her own right before the role of Ellie. She was on broadway before the silver screen that started with The Long Night in 1947 to Doing Dallas in 2000. There were around 13 more major roles starred in between the two listed. She was a talent actress who is no retired quietly to her Maine home to relax after a hard working career. I was she would act again, but as it looks that will not happen. I will continue to watch her great work. Clayton Farlow enters the lives of the Ewings when Suellen falls in love with Clayton's son, Dusty. 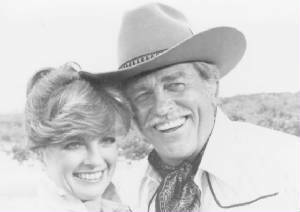 That relationship takes Suellen and John Ross to The Southern Cross Ranch the home of the Farlows. It is located in San Angelo, Texas. He inharated it. In 1939 he married his first wife, Amy. This sent his younger sister, Jessica into a jealous rage. Jessica became pregnant and did not know who the father was and was sent to England to that the child. Since Amy and Clayton could not have children of their own they took Jessica's son, Steven nicknamed Dusty to the Southern Cross. 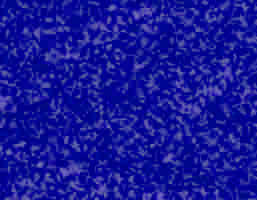 Jessica was admitted to a mental hospital after the birth and Dusty was raised by Clayton and Amy who he still believes are his parents. In the 1950's, Amy's health started to fail and Clayton was having money troubles. On top of this Jessica was released and returned home. While Clayton was away on business a fire broke out at the Southern Cross. Jessica saved Dusty, but Amy died. Clayton became wealthy again from Amy's death and he rebuilt the Southern Cross. Jessica returned to England and married Lord Montford. At the Southern Cross Dusty grew up and joined the rodeo circuit. 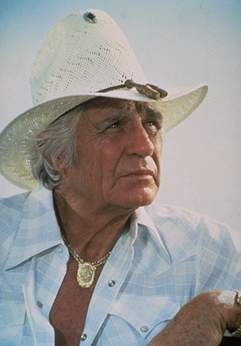 He met Suellen Ewing at a Southfork rodeo. 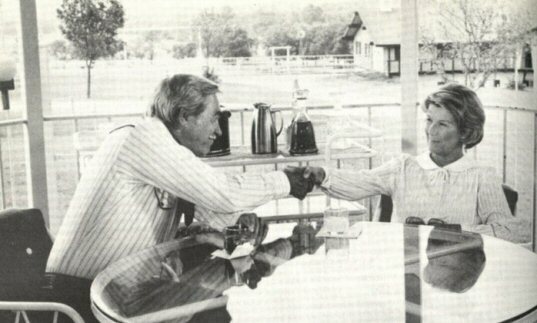 She ran to Dusty and moved to Southfork 1981. That was after Dusty had become paralysised in a plane crash. They remained together till the relationship just fell apart. 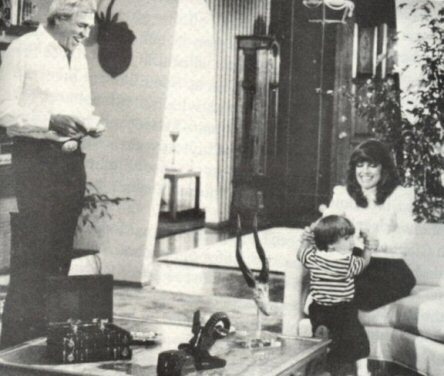 This had brought Clayton into the Ewing's lives and he would remain there. Suellen went back to make it on her own in Dallas and Clayton continued to help her. (He had a crush on her, but did not reveal it when he learned she was going back to JR.) Soon he started to help the now widowed Ellie Ewing when she tried to break Jock's will. And soon he began to think of reasons to see Ellie. He was falling in love. In 1983, Clayton sold the Southern Cross and moved to Dallas to be closer to Ellie. Than when things got bad within the Ewing family Clayton took her on a long vacation and they returned to announce their engagement. They married in 1984. They are happy, but face problems having all of the rest of the Ewings around and had to deal with Jessica's jealousy before the wedding. It worked out well all in the end. 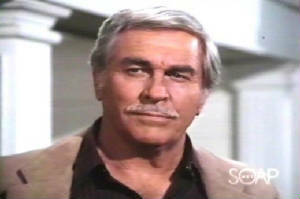 Howard Keel didn't just play Clayton Farlow on Dallas. 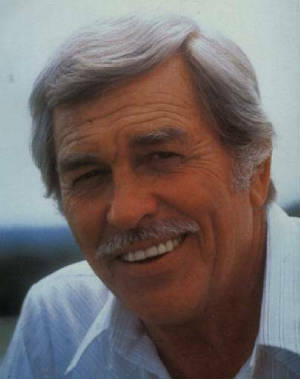 His career started around 1948 and he has starred in over 32 stage, film and television productions. 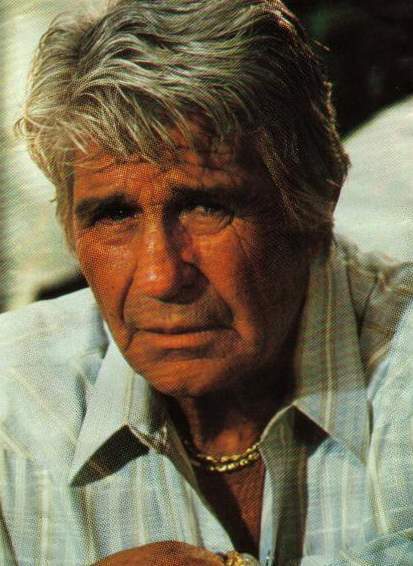 They include: Annie Get You Gun (1950), Seven Brides For Seven Brothers (1954) and just recently he starred in Hart to Hart: Home Is Where The Hart Is (1994) and My Father's House (2002). He is truly a talent of the entertainment industry and living legend. He is a gift to all those who have watched his work and I will be continuing to watch all of his work for years to come. Cross your fingers he will continue to act. Here are some pics of Clayton, Ellie and Jock. Bobby, JR and Jock. The Kings of Ewing Oil. Clayton Farlow with Ellie Ewing at his ranch The Southern Cross before they married. Suellen and Clayton. They became very close when Suellen ended her relationship with his son, Dusty. Clayton helped her ajust to single life and he fell in love with her only to learn she was going to remarry JR.
Suellen and John Ross with Clayton at The Southern Cross during the time she was dating Dusty.